A delegation from Al Falah University visited Radio and Television Dubai, to learn the details of the daily workflow within the media organization. The visit was conducted on March 16, 2016, under the chairmanship of Prof. Nasr Abbas accompanied by Mr. Malek Abu Ageel, Media Supervisor AFU and Ms. Zaina Al Frehat from the unit of Student Affairs, and six university students. The delegation was received by Mr. Yaqoob Yousef, official from the Radio and Television Dubai. He expressed gratitude at the visit from the university and stressed the desire for more cooperation between the two parties. 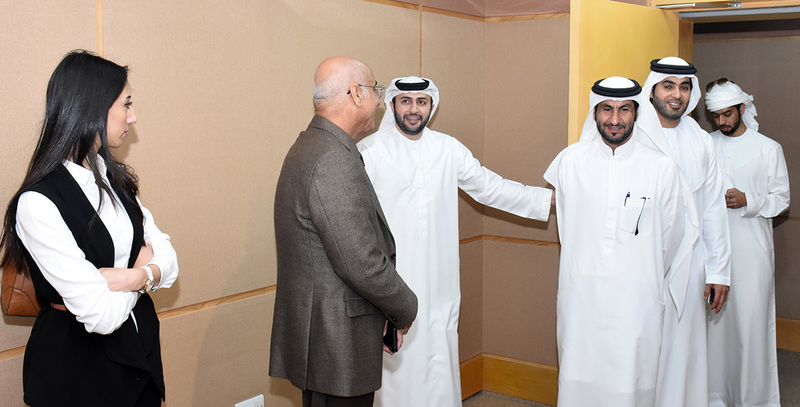 Mr. Yaqoob Yousef briefed the delegation on programs of Dubai Radio and Television for modernization and development at the level of media, news and sophisticated and modern tools and applications. The visit also provided a great opportunity for students to get acquainted with how the media works on the ground. It allowed the students an opportunity to experience the process through a live broadcast for 25 minutes in which students interacted through Dubai Radio. Prof. Nasr Abbas, member of the College of Mass Communication, spoke about the role of Al Falah University and its efforts to harmonize courses of the university with practical application to achieve the learning outcomes in sync with the media world and means at the local level. 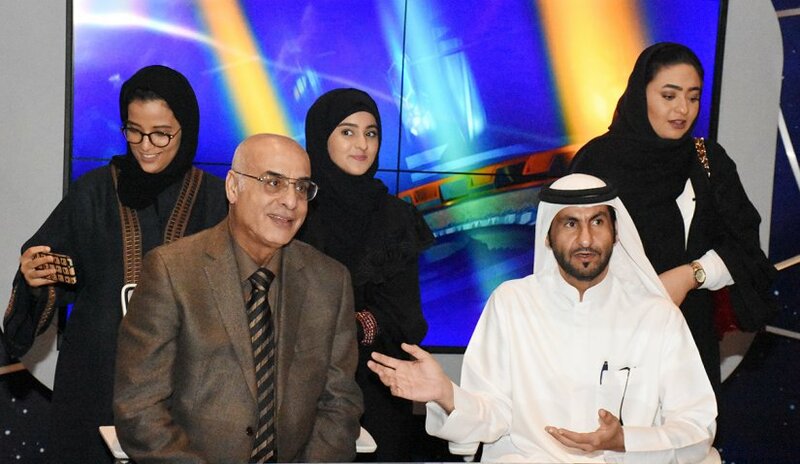 At the end of the visit, Prof. Nasr Abbas and the delegation of the university thanked the Radio and Television Dubai on the unique experience offered to students. This has raised the ambitions of our students in ensuring the completion of their studies and utilizing their potentials and talents in the right field.